I suppose everyone goes through patches where everything you pick up to read disappoints, and I'm on a string of those. Not that they're bad books, necessarily, they just don't hook me in. I started reading Christian Jungersen's The Exception last week and just haven't been able to get into it: it's about 4 women who work for a genocide information organization in Denmark--but the book isn't about genocide, for the most part, it's about the tension that develops among them in the workplace. The premise is actually brilliant, an investigation of evil and of the structure of personality (are we all multiple personalities?) boiled down to the intimate level of people who work together and mutually irritate one another. There are also death threats (from outside the group), kidnapping, heroism, and eventually murder: but mostly it's the four characters being irritated and irritating. Maybe I've been in too many workplace situations like that, but I just couldn't take the atmosphere in this fictional workplace. The Exception is very well written and flows along smoothly (though it's a bit long), and there are some nice twists along the way, some of them having to do with the title and the possibility of doing evil, a very interesting topic, and a fruitful one for crime fiction. I just couldn't stay with the characters. 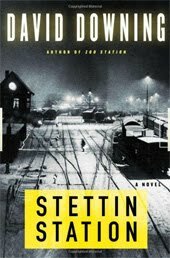 I've started David Downing's Stettin Station several times and just end up putting it down every time. It's well written and very evocative of World War II era Berlin, already at war but since the Americans haven't entered the war yet, the main character, who carries a U.S. passport, can remain on in the city as part-journalist and part-double agent. I'm not a huge fan of historical mysteries, particularly anti-Nazi ones, but what keeps stopping me is that this particular book is about movie stars (in Nazi films, rather like the plot of Inglorious Basterds, which I though was an awful movie) and top brass in the hierarchy, more than about the grim everyday life (which was the strength of Philip Kerr's Berlin Noir books, in my opinion). I'm sure most readers will disagree, maybe I'm just getting up on the wrong side of the book cover lately. 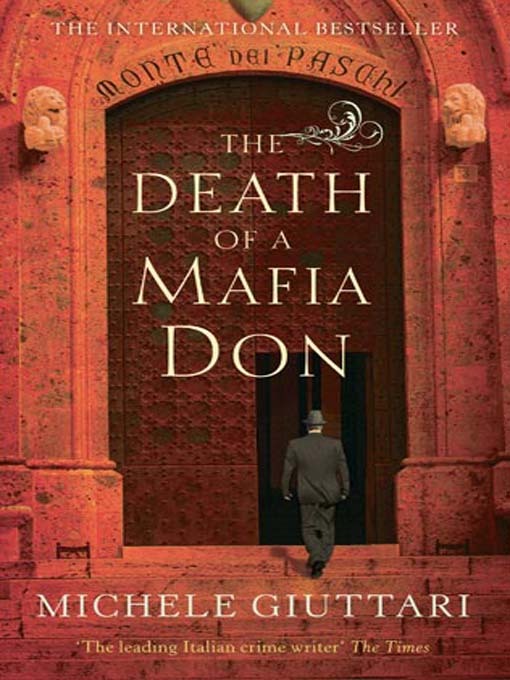 The most recent of my string of bad reads was Michele Giuttari's The Death of a Mafia Don, which I also started and dropped several times before making it all the way through. The best part of this book is that Giuttari's main character, Chief Superintendent Michele Ferrara of the Squadra Mobile of Florence, is offstage a lot more than usual. 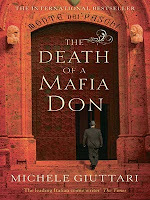 The book is more interesting when the other characters, even the mafia ones, are at center stage instead of the pompous, self-impressed Ferrara (plainly based on the author, a former Florentine cop). The book is (like the others in the series) so earnest, too, without any leavening of cop humor or any side interests on the part of the main characters. And I kept getting a sense of déjà vu about the plot--I realized that a lot of the plot overlaps a great deal with seasons 6 and 7 of the Italian TV drama about the Mafia, La Piovra, even in terms of settings (the demolished town of Gibbelina for one--though to be fair this earthquake-destroyed town with it's center paved over in a cement cap like a nuclear accident--is too good to pass up). La Piovra ends rather differently, though, with little of Ferrara's ultimate success in bringing anyone to justice. 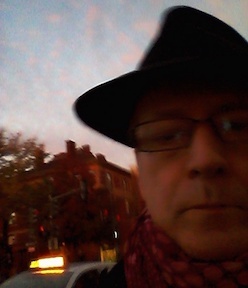 Millions of readers worldwide can't be all wrong, though, I guess--I'm just being dyspeptic again, probably. I do enjoy riding around Florence with Ferrara and the other characters: a bit of nostalgia-by-crime-novel that's very pleasant. I hit these bad patches often.